Mark began his endurance sport career very early as a competitive swimmer and runner growing up. He then ran for the Naval Academy in his college years. After being commissioned as an officer in the Navy, Mark continued running, setting his eyes on marathon running and later qualified three times for the Olympic Trials with a sub-2:20 personal best. In 2009, Mark bought a bike and began training and racing multisport. 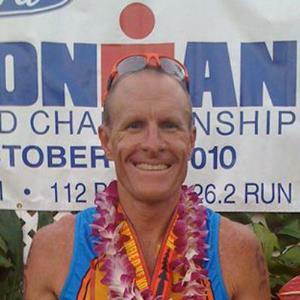 In his short multisport career, he has qualified twice for Kona, placing in the top 10 both times, and won the M50-54 Ironman 70.3 World Championship title in 2013. Mark currently works full-time as a commercial pilot and instructor, and has been coaching high school cross-country for several years. Success. Coach Mark Newman has been notified of your message.